If you’re looking to create or renew your restaurant or bar website, you’ve come to the right place. 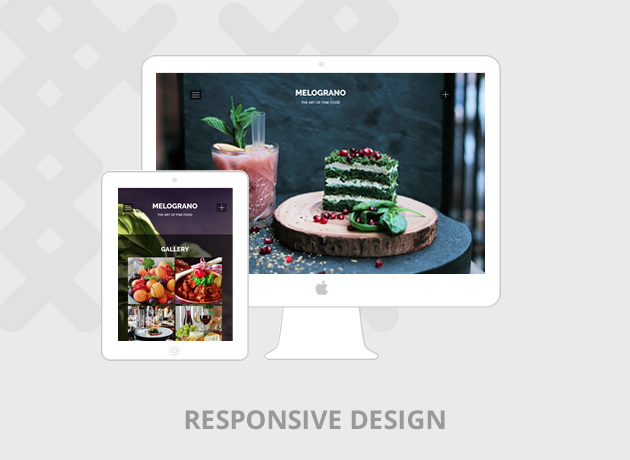 Melograno is the WordPress theme that will help you achieve the most attractive website for your restaurant. With a very attractive home page and its many features, building your website will be very easy and fun. Melograno is tested through multiple devices, be it a desktop, notebook, tablet or mobile phone. With its fluid layout Melograno will adapt well to any resolution. Melograno features a full screen slideshow in the Home Page template and full screen Header backgrounds in the interior pages. 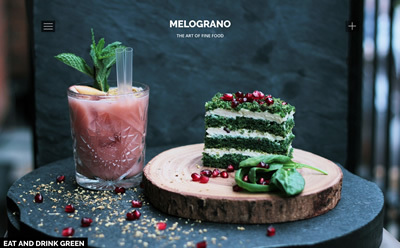 Melograno has a smart and attractive way to display your food & drink menu to the visitors. 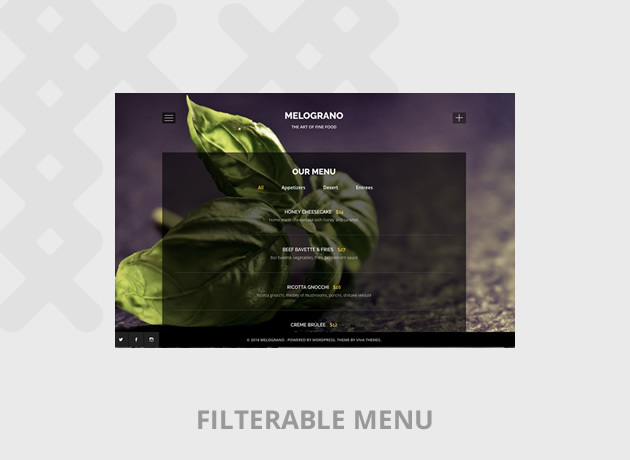 It is packed with a filter so your visitor can view different sections of the menu with ease. Create multiple galleries very easily using the gallery page template. This template will display your pictures from everyday, or different events, in beautiful lightbox. Add links to your Social media accounts easily with the integrated Social Media menu. Melograno comes loaded with 28 social media icons to have your visitors connect to you. Child theme is the recommended way to modify your theme. Melograno enables you to create and activate a child theme with just one click.